This feminist geography workshop was co-organized by Drs. Roberta Hawkins (University of Guelph), Alice Hovorka (University of Guelph/Queen’s University) and Alison Mountz (Wilfrid Laurier University). Held in May 2013, it was attended by 25 faculty colleagues located across a 400-mile radius spanning the border between Canada and the United States. The regional network formed at this workshop (the Great Lakes Feminist Geography Collective; GLFGC) continues to be extremely productive in terms of conference presentations, publications and activism. In particular, the collaborations formed at the workshop have led to several sessions and workshops organized at national and international conferences in 2014 and 2015. These include the annual meetings of the Canadian Association of Geographers and the Association of American Geographers, the Feminist Geography Conference held in Nebraska in May 2014, and the pre-AAG IGU Gender and Geography Commission conference (Gendered Rights to the City) held in Milwaukee in April 2015. The sessions organized by GLFGC members covered topics such as feminist pedagogy, mental health awareness, work-life balance, and publication politics. The GLFGC has also led to two academic journal articles. One article covers mental health issues from a feminist geography perspective (Parizeau et al.) and is part of a proposed special issue of The Canadian Geographer / Le Géographe canadien on mental health in the academy. The second paper, to be published in ACME (Mountz et al. ), proposes “slow scholarship” as a way of disrupting the audit culture of university politics. It was written collectively by 11 authors from the GLFGC and has already received lots of positive attention; for example, the paper was featured in the AAG Newsletter’s President’s Column in April 2015, and between April 18 and May 25 2015 a pre-print version of the paper was downloaded over 1,700 times from the ResearchGate and academia.edu websites. Additionally, the GLFGC organized an intervention at the 2014 AAG meeting to protest unequal gender dynamics within academia through a postcard campaign. This campaign drew attention to mental health issues in the academy, to questionable parental leave policies, and to the poor representation of women and (especially women of colour) in academia. The GLFGC (as an inspiring example of collaboration) and the outputs and activism of the group have been featured in many professional newsletters/websites including the Canadian Women and Geography Group (“Feminist Geography Now” and “Great Lakes Feminist Geography Workshop”, Summer 2013) and the AAG Newsletter’s Presidents Column (“The Costs (and Benefits?) of Constant Counting”, April 2015; “Toward a More Healthy Discipline”, October 2014; and “The More-Than-Conference Conference”, August 2014). The ‘regional revolutions’ feminist geography workshop was held at the University of Guelph from May 2-4, 2013. The workshop involved 26 participants from institutions around the Great Lakes (see Figures 1 and 2). Even though most participants live and work within a few hours’ drive of Guelph, Ontario, many were strangers to one another, and the possibilities of regional collaborations, meetings and support were not commonly sought out. The workshop was designed to address this gap. In an effort to avoid the tendencies towards competition and posturing that often come with academic conferences, the organizers insisted that participants not prepare for the workshop (there were no official presentations or papers), but instead arrive ready to discuss the issues that the group had decided on through a collaborative planning process carried out over e-mail during the few months prior to the event. These issues interrogated the (dis)continuities between work/life and radical/feminist political standpoints. They ranged from ‘living and working within neoliberal institutions’ to ‘mental health and graduate students’ to ‘teaching’, ‘activism’ and ‘research’ (see Appendix 1). Large group discussion, break out sessions and mini-panel discussions were used to facilitate these conversations, and all participants took a turn at starting sessions with five-minute contributions. In addition, the workshop included unstructured time to foster informal conversations and networking. The final day of the workshop was devoted to activities focused around planning future collaborative projects that had emerged during the discussions held up to that point. These future plans include writing academic papers, organizing sessions on the topics discussed at national conferences (AAG, CAG), establishing a mentoring network, performing activist interventions, and most importantly, extending the network established at the workshop to include additional people. Inspiration and rejuvenation – The most important achievement of the workshop was the energy that participants brought to the meeting and the feelings of inspiration that they reported taking away from our few days together. Most people attributed these feelings to the privilege of having time (three days) and space to sit and think, chat and conspire about the fields of feminist and radical geography and the academy more broadly. Perhaps most inspired was the immediate sense of community and collegiality that emerged with full engagement from all participants – a sign that the workshop achieved its goal of destabilizing hierarchy and encouraging people from all contexts, stages of career and perspectives to share of themselves with others. Collaborative plans for the future – Many of the discussions we had during the workshop felt as if they were only just beginning by the end of the meeting. We therefore generated a long list of future projects for collaboration. Organizing, drafts and plans are already underway for many of these tasks. A google website and listserv was set up for the group after the workshop for planning and network-building purposes. Considering a network – Many participants noted that they were not previously aware of all of the people engaged in feminist geography in our region. It is often difficult to find potential collaborators/reviewers/mentors/etc. through online searches. One of the major successes of the workshop then was beginning to identify this group of people, meet and learn about each other’s research interests face to face. Undoubtedly, future support and collaboration will grow from these encounters. Conversely, the workshop helped us to recognize who was missing from the realm of feminist geography, encouraging us to talk about privilege and ways to broaden the field of feminist geography and participation at workshops such as these in the future. Issues such as class, race, mentorship, structural inequalities, maternity and caregiver leave and (dis)ability were addressed. 5. Support the organization of The Feminist Geography Conference to be held in Nebraska in May 2014. Radical Geography? Feminist pedagogy? Community engagement and activism? These were just some of the watchwords at the cross-border Great Lakes Feminist Geography Workshop, held in Guelph, Ontario from May 2nd to 4th. 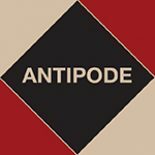 The workshop was supported by a Regional Workshop Award from the Antipode Foundation, entitled “Regional Revolutions: Advancing radical geographical scholarship and practice through feminist geography across the Canada-US borderlands”. More than two dozen feminists in geography from Canadian and US universities surrounding the Great Lakes came together to discuss research, teaching, public engagement and the discipline through various presentations, conversations, and wonderful food. The workshop was inspired by the three co-organizers: Roberta Hawkins (University of Guelph), Alice Hovorka (University of Guelph), and Alison Mountz (Wilfrid Laurier University/Balsillie School of International Affairs), who collaborated to create a highly original and interactive program. The agenda was ambitious: the workshop provided a safe space to question the silences of the academy and explore the contentious place of feminist geography as a taught subject within the discipline. We talked about the victories and simultaneous silences of feminist politics in geography and of the various institutional spaces we find ourselves inhabiting, as well as of the neoliberal environments in which most of us work. Discussed more than once were the prices these structures can exact on faculty members, students’, and staff members’ everyday lives. Concerns were also raised over the retrenchment of jobs in geography, the precariousness of much academic employment, and continued exclusions marked by race, class, and gender, in particular. Silences around mental health and physical health were discussed. From the politics of and disparities in parental leave to the academic practices of citing ‘others’ and questions of representation, so many issues were raised. Our only regret is that there was not enough time to work through each point made in more detail: the conversations could have gone on for weeks. Yet, break out groups met and action plans for the near and far future were laid including possible publications, conference topics for discussion and activist interventions. While a feminist nation was not quite finalized in the short time available, extremely good energy and enthusiasm defined the event from its kickoff. 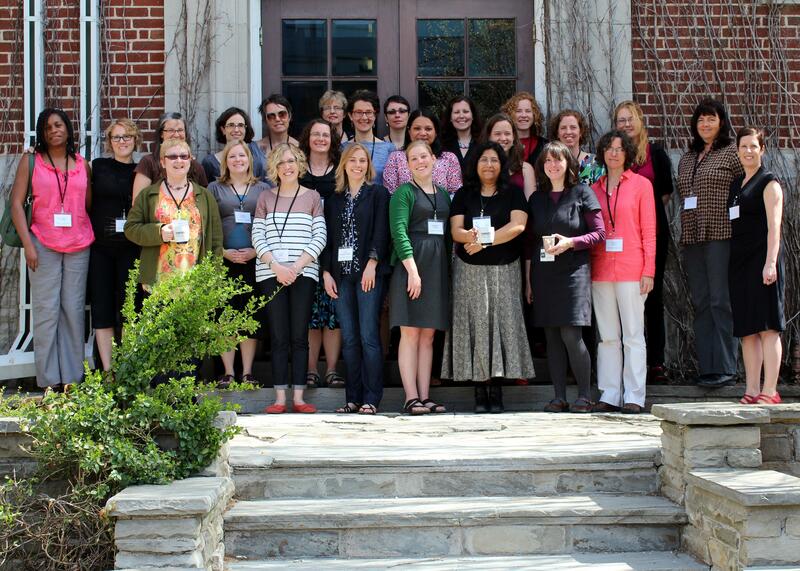 Now that the workshop is over, the Great Lakes Feminist Geography Network has been launched and will seek expansion. Please keep an eye out for more information to come! Who are we, where are we, why are we here, and who is missing?